AIMS is an all in one solution which allows the integration of multiple applications into a single interface. Applications developed using AIMS can have centralised or decentralised user interface or SQL database. The applications developed within AIMS can share data and processors across different applications. This reduces application design, development and deployment time. data integration - is another layer of AIMS. Since all the applications are integrated the applications can reuse, understand and/or exchange data from other applications which reduces inconsistencies and the business processes become more efficient. 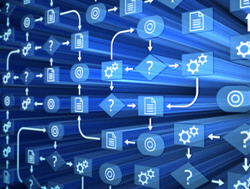 communication integration - underlying the business and data integration is the communication level. This allows for communication from external applications; such as Mailbox. AIMS mailbox has Application Programming Interface (API) that allows for external applications to transfer and exchange information. or to discuss a application or intergration solution.